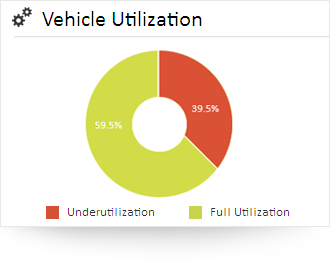 Utilization chart & report helps you to identify the usage of vehicles along with its utilization & underutilization metrics. You can properly allocate your vehicles; do more with fewer vehicles and drivers, thereby avoiding purchasing new vehicles and spending more on wages & maintenance. With sensible & real time information on your vehicles’ performance, you could take smart decisions in no time. Your fleet costs have gone up, and you are wondering why? 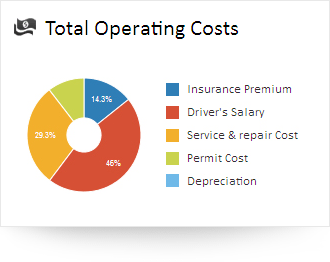 Review your vehicles’ utilization ratio and break up the operational costs incurred to various aspects and find out the ways to control the unneeded expenses. 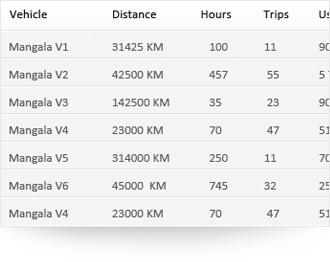 Perform deep analysis with quick data over a period of time (say 6 months) to forecast and schedule optimized vehicle usage in future. Why buy a new vehicle & employ a new driver since what you have might already be enough to meet the purpose. 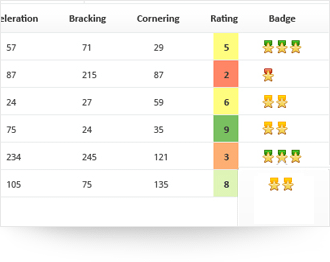 Fleet Analytics charts & reports are available for individual vehicles as well as in a consolidated form (all the vehicles together). What all are available?